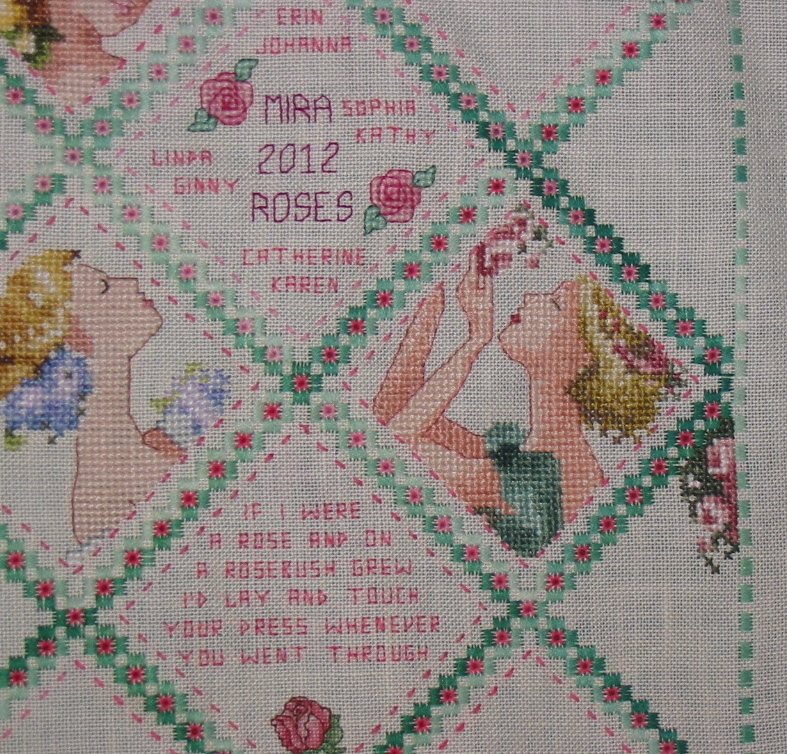 I finished my part of Catherine’s Rose themed Mira RR today. I stitched Rose of Sharon and I changed her dress to green at Catherine’s request. I also did a red hair conversion which I did not use for this RR. I will probably send this out early next week because I will be moving in a few weeks. I wouldn’t want it to get packed away and not be able to find it. 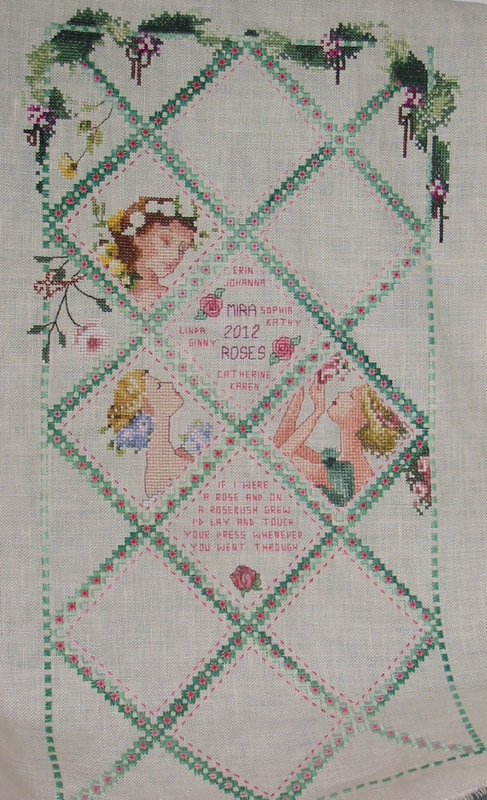 My other stitching this week was my layout for the upcoming Band Sampler RR. It is coming along. I should have all the preliminary stitching done no later than the middle of next month. Absolutely stunning! You did a wonderful job on Catherine’s RR. THANK YOU SO MUCH VERONICA. It is beautiful. I love the new color of the dress. How do you even start changing the colors on a pattern? Sounds labor intensive? ?